£23.95 More info & buy	This beautiful Chablis offers energy and verve through lively acidity, persistent mineral notes, and refreshing citrus notes. The nose starts off with buttery orchard fruit, green apple, lemon peel and wet stone then becomes slightly creamier after a few minutes in the glass. The finish rolls on towards the 40 second mark leaving traces of lemon peel with an explosion of classic mineral notes. Serve cool, but not cold. 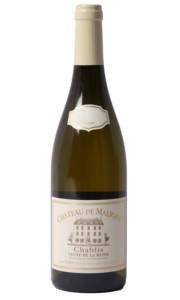 Limited production, coupled with expert management from Chateau Maligny, enables this wonderful Chablis to possess marvellous concentration and typicity.